In my article about “4 deadly dangers for your dog” posted on 15th March 2013, there was one paragraph about the danger of snake bites. There was quite a lot of response to this article by our readers, thank you very much! 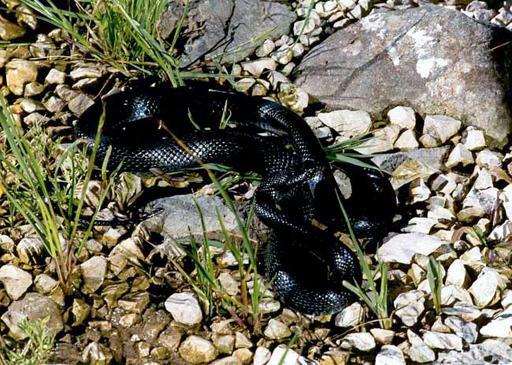 So I decided to provide our readers with some information about the snakes of Cyprus. Firstly, I am not a medical practitioner, so therefore I am not authorized to give people any kind of medical advice! I can only share information and experiences with my readers. Secondly, I am not a zoologist. 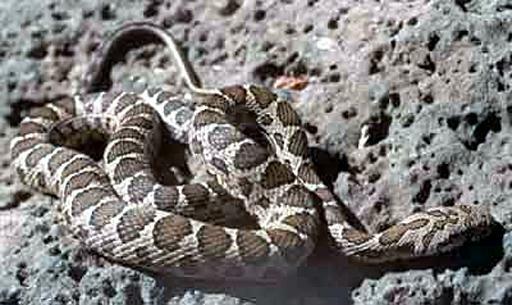 So maybe one or another of the explanations I will give you about the snakes of Cyprus aren`t complete or scientific. Now is the time of the year snakes awake from their hibernation. So you may have the experience of seeing or getting into contact with one or more of them. In principle snakes are not aggressive, they don´t attack you if you don´t go too near to them. If you keep your eyes open during walking in nature, collecting herbs or gardening you are not in danger! There are different species of snakes on our island, venomous and non-venomous. I just want to introduce six of them. Let´s start with the non-poisonous ones. The coin snake or Ravergier´s whip snake is harmless and not dangerous to humans. The greyish-brownish body is marked on the back with large dark-brown irregular spots looking like “coins”. Unfortunately these friendly snakes look very similar to the blunt-nosed viper (to which we return later), so a lot of people are scared when seeing them and try to kill them….. please don´t do that! The main difference between the harmless coin snake and the dangerous viper are the eyes: the first has round pupils, the second vertical ones. The large whip snake is, with its maximum length of 3 meters, the longest European snake. The colour of this elegant and fast snake is pure black, only during the first 2 or 3 years of their life they have a yellowish or light brown colour. They are not only very fast but good climbers as well. You can find them even in trees. 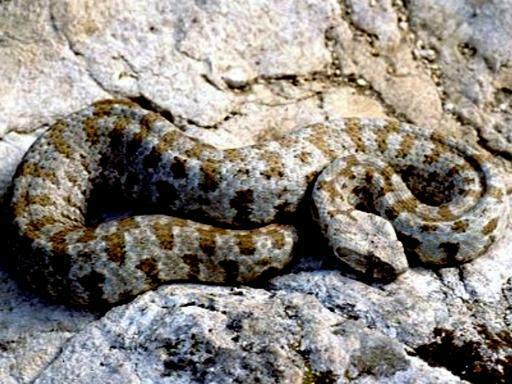 I have heard the story that the British brought them to Cyprus because this snake not only has mice, rats and other pests on its menu but also the venomous vipers. But maybe this is only a rumour. The Cyprus whip snake, which is endemic and very rare, has a black, dark-brown or olive-brown colour and a white ring around its eyes, the body of the up to 1-meter-length snake is slim and similar to the juvenile large whip snake. The bite of one of these above described snakes is not lethal because they have no poison, but they will defend themselves, so if they should attack you it could be a painful experience! Now we come to the poisonous species. 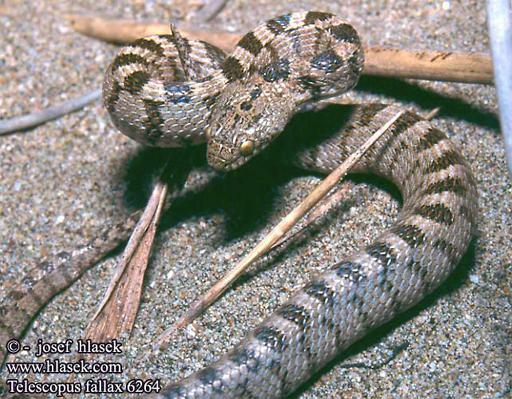 The most dangerous snake on the island for humans is the blunt-nosed viper or Levant viper. This – up to 150 cm length – snake has a relatively fat body, a clearly distinct triangular shaped head and a thin horny tail. The colour varies between yellowish grey and light brown, usually with distinct large brownish or black marks on the back. The bite of this snake is dangerous to your life!!! The cat snake, up to one meter in length, is normally only active at dusk and night time. The dorsum is grey-brown with black maculations. The amount of poison this snake has in itself is not enough to be lethal for a human, but medical help will be needed anyhow. 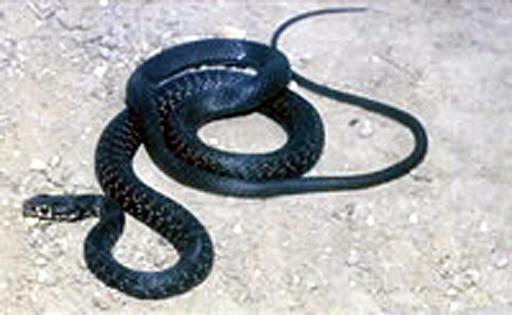 The Montpellier Snake´s venom is not normally dangerous to man, but the bite can cause heavy local swellings of the affected body part and a general malaise. 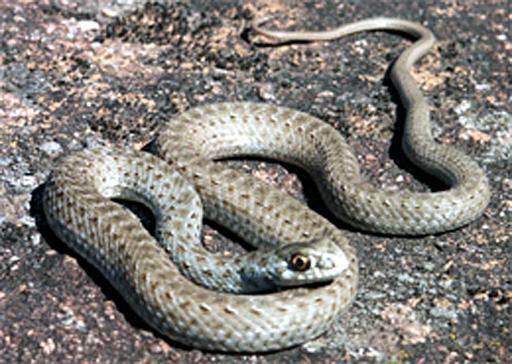 The snake grows up to 2 meters in length and the colour of the adult snake can differ between greenish-grey and brown. from late March until end of November avoid walking on ground where you cannot see where you step, e.g. high grass, bushland, dry river beds etc. have a long stick with you while walking. If a snake lies on the track and doesn´t slide away, give her a nudge with the stick or better still make a detour. be careful while working in your garden: don´t grab with your bare hands under bushes and flowers, always use garden tools for that. If you hear a swish nearby you or, much worse, an audible hiss: stay calm, avoid sudden actions, make a quiet and slow retreat. an old saying is to apply a tourniquet between the wound and your heart. I always have a piece of a thin rope with me. So in the case I would receive a bite – normally into the leg or the arm – I would try to reduce the amount of infected blood going into my circulatory system. Note: Not every expert advises a tourniquet, ask your doctor! for the dog´s first aid I recommended – in my article mentioned above – to apply an injection of Hydrocortisone for shock treatment. I would never recommend this for humans!!!!!! Hydrocortisone is a highly effective drug and may cause heavy side effects to the human body!!!!!! in the end there is not a lot of first aid you can do for yourself or somebody else you try to help. do not use any kind of “home remedies” you have heard of…..you lose time with doing that! Note: Always take your mobile phone with you when you go for a long distance walk in nature. Save the most important emergency numbers in your phone.